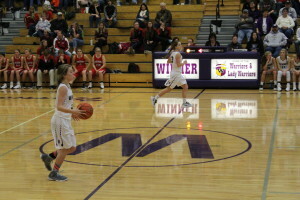 Winner girls basketball team defeated Cheyenne-Eagle Butte 66-44 on Saturday. Bella Swedlund led the scoring for Winner with 20 points followed by Chloe Bartels with 9. Gabby Kocer pulled down 8 rebounds with Bartels, Abby Marts and Sydney Hollenbeck with 6 each. Madyson’s Frazier’s double double helped Winner to a 72-50 victory over Crow Creek on Thursday. Frazier had 16 points and pulled down 10 rebounds. Bartels scored 17 points and Swedlund had 16 points and 9 rebounds. Winner will play in McLaughlin on Friday. 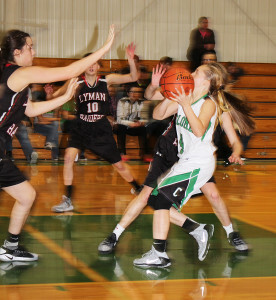 Lyman defeated the Colome girls basketball team 65-36 on Jan. 30.Chamberlain defeated the Colome girls basketball team in the Highmore Classic on Saturday. Callie Heath scored 10 points and Makayla Shippy, 7.Chamberlain won the game 36-15. Abby Kortan led the Cowgirls with 7 points. Callie Heath grabbed 3 rebounds. Heath pulled down 12 of Colome’s 25 rebounds. Colome will host Kadoka on Feb. 10. Richard Tate, age 86 of Hidden Timber, passed away on Saturday, Jan. 28, 2017 at North Platte Care Center. He was born to Jay and Eva (Rothley) Tate in a tarpaper shack on their farm west of Hidden Timber on Jan. 6, 1931. Richard spent his entire life on this land. Richard attended Schneiderite School through elementary then Todd County High School, where he graduated in 1949. 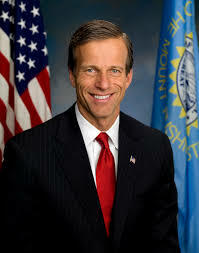 Following graduation, he attended South Dakota State College in Brookings. He was drafted into the US Army on June 17, 1952. He spent two Christmases in Korea, drawing combat pay for 7 of those months firing artillery. He also worked in the carpool, traveling extensively throughout Korea. He was honorably discharged March 16, 1954. After returning home, Richard worked with his dad on the farm and returned to college in the fall. He married Shirley Luedke in 1956 in Mission, SD and they were blessed with three children. 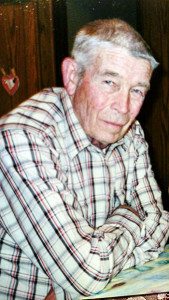 Richard worked at many jobs during his life, including planting trees for Todd County Conservation District, working as a ranch hand near Brownlee and working on teacher housing in Mission. He was a private pilot and owned his own plane. Several people remember getting their first plane ride from him. He would fly to the sale barn in Martin and often would fly out to help neighbors find lost cattle and check pasture. Richard loved the freedom of flying, not following the roads. Richard was very good with his hands. In the early 70’s he built a boat that he and his family took to Lake of the Woods in Canada. He built the family’s first camper. Richard loved spending time with his family camping and boating. He also, with the help of family and neighbors, built their first house. Richard started ranching on a quarter of land he purchased from his dad. He raised hogs and cattle and ran yearlings for many years, ranching with his son, Robert. He eventually retired in 1993 and sold the ranch to Robert & Tammi in 2015. After retiring, he filled his free time with keeping the prairie dog population down. He could hit a prairie dog and 300 yards. He also enjoyed fishing. He treasured the trips made to Jones Hardware in Mission to visit with friends over a cup of coffee. He especially enjoyed the calls and visits from family and friends during his stay in North Platte. Gov. Dennis Daugaard signed the first bill of the 2017 Legislative Session into law on Feb. 1. The piece of legislation, House Bill 1006, clarifies the timeline for posting notices for public meetings. In 2016, the Legislature passed a bill requiring notices to be posted two intervening days prior to a meeting. HB 1006 clarifies the language by requiring notices to be posted three days before a meeting. The bill sets the same deadline for the submission of comments on rules. Also, the Governor signed two other bills into law: Senate Bill 8, an act to codify legislation enacted in 2016, and Senate Bill 16, an act to revise certain provisions regarding a violation for an escape from certain facilities, programs, or services located outside the penitentiary. Gov. Dennis Daugaard has signed House Bill 1069, An Act to repeal and revise certain provisions related to campaign finance and to declare an emergency. This bill repeals Initiated Measure 22. The Senate Appropriations Committee introduced a bill on behalf of Gov. Dennis Daugaard to fund an upgrade and expansion to the state animal disease research and diagnostic laboratory. Located on the campus of South Dakota State University, the facility serves as the state animal health laboratory. The lab was built in 1967 and last upgraded in 1993. It is out-of-date, according to the Governor, and needs to be modernized to correct aging infrastructure, accommodate new technologies, and meet current and future health and safety standards. Week 4 of the legislative session is complete. By the time that you are reading this, we will be half done with the 92nd legislative session. HB 1069 was the bill to completely repeal Initiated Measure 22 (otherwise known as the “Anti-Corruption Act” passed by South Dakota voters in November) and it once again dominated the conversation this week in Pierre. HB 1069 passed the Senate on a 27-8 vote and Governor Daugaard has already signed the repeal of IM 22 into law. 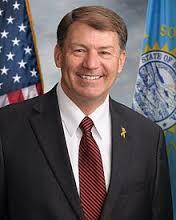 It took the majority in the legislature only seven business days to overturn the votes of over 180,580 South Dakotans. I am reminded of our state motto through all of this that, “Under God, the people rule.” A majority of the legislature did not head these words while voting on this issue. It is now up to the legislature to come up with replacement measures that will address corruption, ethics, and transparency in our state government. I truly believe making state government work better for all South Dakotans begins with listening to the voters and respecting their will when they approve ballot measures. The majority of the legislature did not do this, so now it is upon us all to come together and pass legislation to uphold the will and intent of the majority of the voters in South Dakota. Government Accountability Board (Ethics Commission) a. An ethics commission that covers all of state government is an incredibly important piece of the puzzle to rooting out corruption in state government and politics in general. This needs to be a bi-partisan board made up of non-legislators that would function underneath the purview of the Attorney General’s office. Gifting Limits on Lobbyists b. Right now we do not have limits on what a lobbyist can gift to an elected official. There need to be consistent and strong limitations on what lobbyists can gift to elected officials so that we can ensure that legislators are not being persuaded to vote a certain way based on gifts they receive. Campaign Finance Reform c. Campaign finance reform could have the most impact on getting money out of politics and back into citizens’ hands. We need to set stricter limits on how much money can be contributed to campaigns from special interest groups. There also needs to be more broad reporting requirements from groups outside of our state and special interest groups in our state that seek to have an impact on our elections or ballot measures. Did you know under current law once a public official is done with public office, they can walk away with the money in their campaign account and use it for whatever they want? This is simply not right, and I am bringing a bill to fix this very problem. Campaign Finance Ethics Commission d. An ethics commission to oversee campaign finance is important to this process so that there is a strong arm in implementing campaign finance laws and monitoring campaign contributions. It also needs to have the ability to receive anonymous tips and investigate misappropriation of campaign funds and wrongdoing. IM 22 accomplished many of these things, but that is in the past now. It will now be incredibly important that the legislature work together to accomplish what IM 22 sought to do in creating a state government that is accountable to the people of South Dakota. The repeal of IM 22 with HB 1069 has brought to light the use of the “Emergency Clause” under Article 3 § 1 of our state constitution. This section gives the voters the right to refer a law enacted by the legislature to a vote of the people unless the laws are necessary for the immediate preservation of the public peace, health, or safety or the act is necessary for the support of the state government and its existing institutions. There have been more bills introduced this session with an Emergency Clause attached to them than in any year I have been in Pierre, and many of them are regarding the initiated measure process. This means that if passed, the bills would not be able to be referred to a vote of the people. None of these bills have a true state of emergency existing to justify completely removing the citizenry from the process. This should be a concern to all South Dakotan’s, no matter your party affiliation. We will be hosting 3 cracker barrels on Saturday, February 11th. 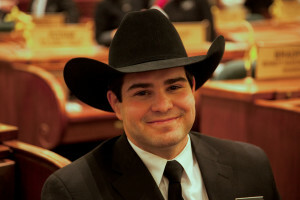 Winner will be held in the statewide ag meeting room at 8:00 AM. Gregory will be held at bowling alley at 10:00 AM. Platte will be at 1:00 PM at the Pizza Ranch. I encourage everyone to attend and ask questions. The fourth week of the 92nd legislative session is complete, and the deadline for filling bills has passed. There are approximately 390 bills introduced, therefore, the committee bill load will become active to moves these pieces of legislation through the process. In the Agricultural and Natural Resources Committee, we have only taken a few bills regarding hunting and fishing licenses. The bills address a landowner’s right to utilize a ‘landowner deer tag’ in a way of his/her choice, and to a landowner, who has a stocked body of water with fish on his own land and fully stocked by himself, to take an unlimited number of fish. The hunting and fishing lobbies have argued that these measures would further commercialize hunting. While we have not heard the bills on the House floor, there will be friendly amendments to take care of the concerns of the opponents. Stay tuned. In House State Affairs, the committee has head bills that seek to enhance South Dakota’s concealed carry laws. These bills seek to make the process for renewal more streamlined and have received favorable votes from the committee. The committee will once again hear a bill to allow individuals who have an enhanced permit to carry a concealed weapon, to carry such in the State Capitol. This bill does not have the support of law enforcement, as allowing such may put officers in precarious situations when confronting someone who carries a weapon. These officers will be required to ascertain in a matter of seconds who is acting in a criminal manner and who is not. This is clearly dangerous, and will certainly be a bill that will get significant discussion and debate. The House floor sessions have picked up with bills addressing nursing home beds. HB 1003 received significant debate, as it would allow for the sale or transfer of nursing home beds throughout the system. This bill received very few votes, as the SD Department of Health has a very clear and definitive process for helping nursing homes that require additional beds. Selling the beds will put our rural nursing homes at an extreme disadvantage, as they clearly do not have the funds to purchase such. We all want to be able to keep our loved ones close to us when they are in need of skilled nursing care in a home setting as they near the end of their lives.In my opinion, it was good to vote this bill down and to allow our nursing homes to work with the Department of Health to fulfill their needs. With the final passage of HB 1069 and with the Governor’s signature on the bill, the legislature must put its words into action. We will be taking up several bills to address the lobbying concerns, the accountability of state government, and the ethics surrounding campaign finance. 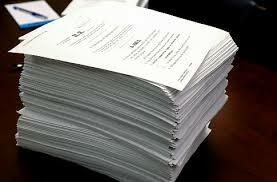 We should have taken these bills up prior to the repeal of IM 22, and then consider the repeal. We must make sure that any bills brought forth attempt to meet the expectations of IM 22 and answer the concerns of the citizenry as they perceived the ballot measure. The Joint Appropriations committee continues to meet each day and files through the departments and agency budgets. During conversations with the Bureau of Finance and Management, the revenues appear to be lower than the executive branch had anticipated. Leadership will receive the revenue estimates within the next week and will have a clearer vision as to how the FY 18 budget will shape up. On February 11th, your District 21 legislators will hold their first cracker barrel at the following locations and times: 8:00 a.m. At the Statewide Ag Insurance building in Winner; 10:00 a.m. At the Gregory Bowling Lanes in Gregory; and at 1:00 p.m. At the Pizza Ranch in Platte. I encourage all who have concerns to please join us for conversation about the legislature. Our second Cracker Barrel will be held in the east end of the district on February 25th. Be sure to watch the next two weeks columns for locations and times. As always, please contact me with any questions or concerns about legislation. 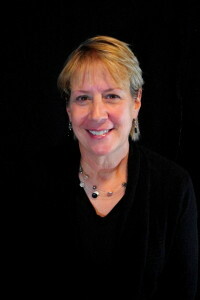 I may be reached at Julie.bartling@sdlegislature.gov or call me at 605-222-3378. Thank you for the opportunity to represent everyone in District 21. Have a great week! Americans mourned the passing of Supreme Court Justice Antonin Scalia, who died suddenly last year in the middle of the presidential election. Justice Scalia was one of the strongest defenders of the Constitution who fought fiercely against judicial activism and legislating from the bench. Replacing him will be extremely difficult, and is of the utmost importance, as Supreme Court Justices can dramatically alter the course of our nation in just one vote. President Trump has made an excellent choice in nominating Judge Gorsuch to replace Justice Scalia on the bench. An avid outdoorsman, Judge Gorsuch was born in Colorado, educated at Columbia, Harvard and Oxford, and for the past 10 years has served on the U.S. Court of Appeals for the 10th Circuit in Denver. He has previously clerked for Supreme Court Justices Byron White and Anthony Kennedy. Throughout his career, he has a clear record of following the Constitution as it was written and following the rule of law. We believe Judge Gorsuch espouses the same approach as Justice Scalia and has a strong understanding of federalism upon which our country is built. In our federal system, the Supreme Court of the United States is the highest court in the country and has ultimate jurisdiction over all federal courts. Because the current makeup of the court is evenly split between conservative and liberal-leaning justices, filling this 9th spot is as important as ever. This next justice has the potential to hold incredible influence over the ideological direction of the court for a generation to come. The Supreme Court is the final authority for interpreting federal laws and the Constitution. It is one of the most important responsibilities in our federal system. President Trump made good on fulfilling that promise when he nominated Judge Gorsuch to the Court. Judge Gorsuch is greatly respected on both sides of the aisle. In fact, he was previously confirmed to the U.S. Court of Appeals for the 10th Circuit unanimously – with not a single Republican or Democrat member of the Senate dissenting. Nearly a dozen Democrat Senators who did not oppose his nomination in 2006 still serve in the Senate today, including Senate Judiciary Committee Ranking Member Diane Feinstein and Senate Minority Leader Chuck Schumer. As such, we expect the Senate will continue its tradition of approving highly competent, qualified individuals to the Supreme Court in an up or down vote following a thorough vetting process. We owe it to the late Justice Scalia, our judicial system, the Constitution and every American to see his conformation through. When Justice Antonin Scalia unexpectedly passed away last year, the country lost more than veteran of the Supreme Court. It lost a man who was universally respected by his colleagues in the courtroom, both behind and in front of the bench, and a man who will undoubtedly go down as one of the most brilliant legal minds in American history. Justice Scalia’s reverence for the law and Constitution was as evident in his written work as it was in his methodical and oftentimes witty oratory. He loved the court and his country, and his shoes will be big ones to fill. Not that there is ever an ordinary vacancy on the court, but when Justice Scalia passed away, it came at an extraordinary time. America was in the middle of a heated presidential election, and President Obama was months away from leaving office. In order to protect the selection and confirmation of a new Supreme Court justice from the heat of election-year politics, Senate Republicans decided the best option was for the American people to have a voice in the process. That meant Republicans were willing and prepared to give whoever was elected as the 45th president (Donald Trump or Hillary Clinton) the power to nominate the next Supreme Court justice. It also meant that the next Senate (led by Republicans or Democrats) would be the group to provide its advice and consent to the president on his or her nominee. Both the next president and the next Senate would be free from the political rhetoric and rancor of the campaign trail. By now, we all know how the election ended. Donald Trump won, and he selected an extremely well-qualified, mainstream jurist who is ready to serve on the highest court in the land. Senate Republicans retained our majority, and we are ready get to work on the people’s business, which includes quickly confirming Judge Neil Gorsuch to the Supreme Court. Judge Gorsuch’s resume is impeccable. He is the graduate of Oxford University, Harvard Law School, and Columbia University. He served as a clerk for two Supreme Court justices, including Anthony Kennedy who still serves on the court today. For more than a decade, Judge Gorsuch has served on the 10th Circuit Court of Appeals, a position to which he received unanimous support in the Senate. Perhaps most importantly, Judge Gorsuch believes that Supreme Court justices should be like an umpire who calls balls and strikes. The law is the law, and Judge Gorsuch agrees. It is unfortunate that before this nominee was even announced, my Democrat colleagues in the Senate launched a filibuster campaign in an attempt to block the nomination. Not because of the character or qualifications of the person who would ultimately receive it, but because they think the seat belongs to someone else. To be clear, seats on the Supreme Court do not belong to a president, a political party, or even a justice himself. The Supreme Court and the seats of which it is comprised belong to the American people. They, as should my Democrat colleagues who not that long ago believed we needed nine justices on the Supreme Court, are ready to fill this vacancy so Judge Gorsuch can get to work without delay.